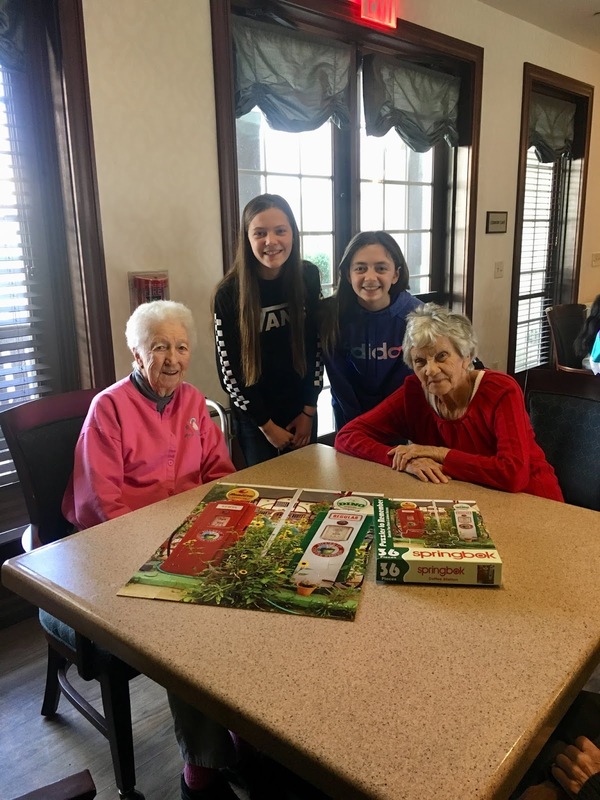 Residents at the Lodge Lane Assisted Living and Memory Care Facility in Wilmington, DE, recently enjoyed an afternoon of doing puzzles with young people. 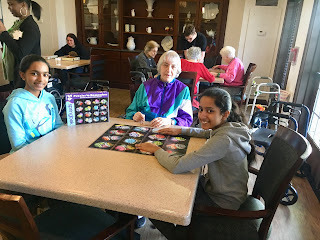 The puzzles used were the Springbok PuzzlesToRemember, puzzles made specifically to meet the needs of those with dementia. 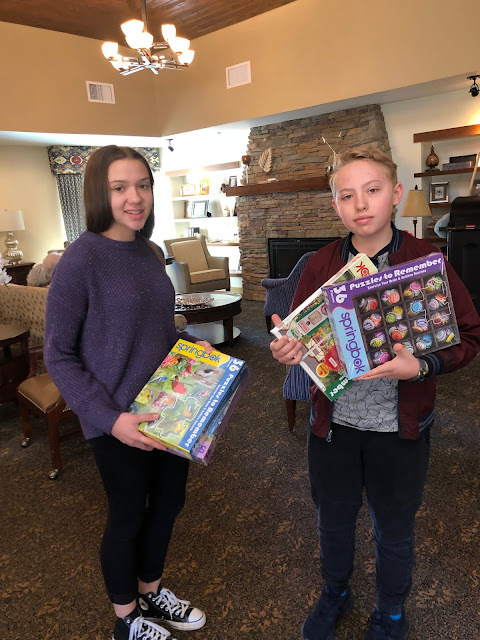 Welcome Parker and Lilly! They did an awesome job introducing the Kid Caregivers Puzzle Time Program to the state of Colorado! 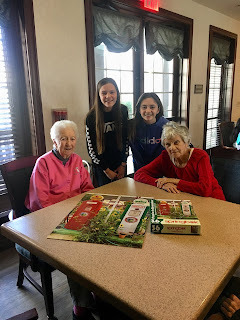 They had a great time with the residents, and made such a difference in so many lives! What a wonderful use of the Springbok PuzzlesToRemember! 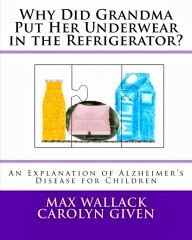 A perfect gift for an Alzheimer's patient is a Springbok PuzzlesToRemember puzzle. 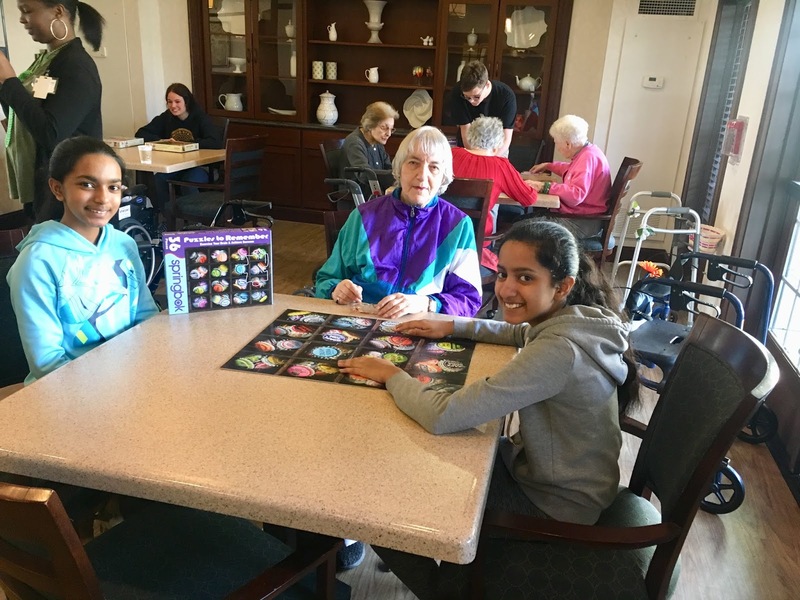 The themes are beautiful, and spark memories and conversation, the pieces are large, easy to grip and few in number, made with very high quality grade material. The ink used creates stunning colors and (like a diamond) no two puzzles are ever exactly alike. The puzzles will last for several years. 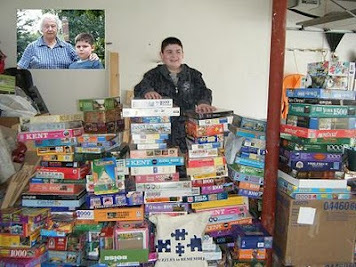 The Springbok Puzzle company donates to Alzheimer's research with every purchase of their Alzheimer's puzzles! 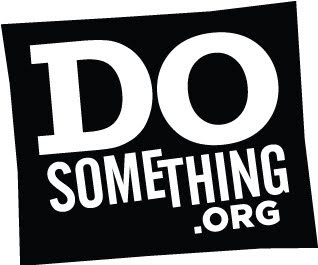 With Christmas and New Year's on their way, please consider a lovely gift and a beautiful pastime, solving Springbok's PuzzlesToRemember Puzzles with someone special! 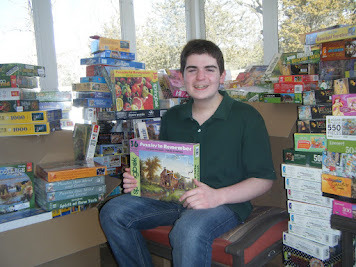 A big thank you to Ceaco Puzzles of Newton MA. Today, they donated 274 puzzles to PuzzlesToRemember. 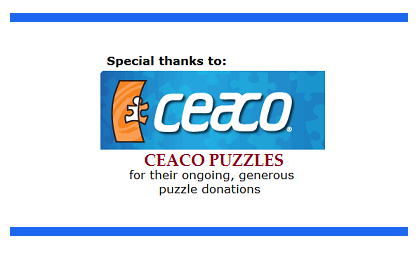 Ceaco has donated puzzles yearly since 2008! 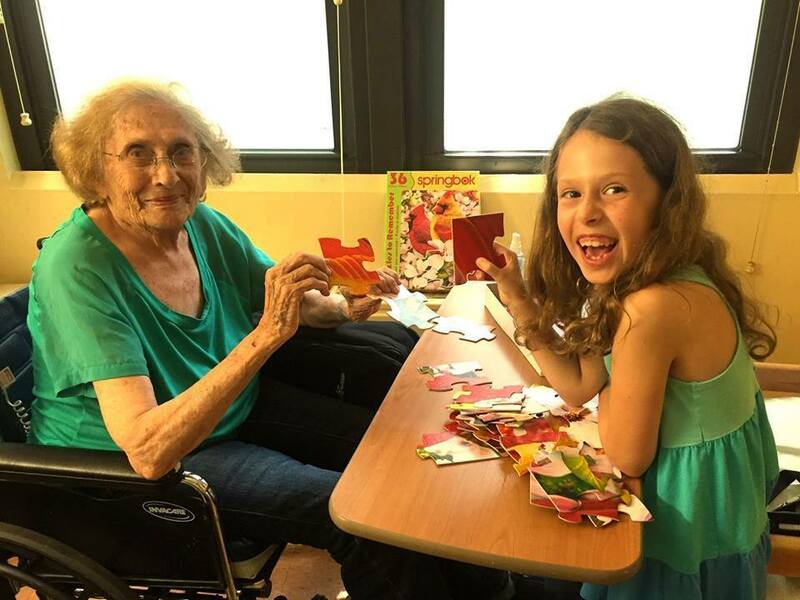 These puzzles will be distributed to senior living and assisted living facilities, as well as Alzheimer's units at various nursing homes.